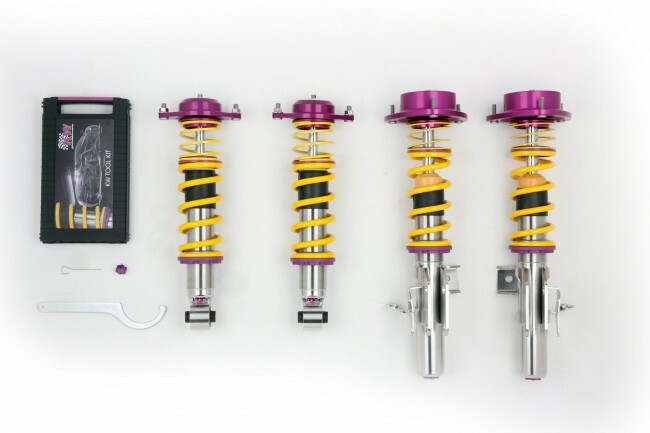 KW Suspensions announces their 2-way Clubsport coilover for the 2013 Scion FR-S & Subaru BR-Z. The KW 2-way Clubsport coilover suspensions for the 2013 Scion FR-S & Subaru BR-Z enables the owner to lower their vehicle 20-50mm on the front axle and 20-50mm on the rear axle and retains enough travel to handle maximum load and dynamic loads during driving. The KW Clubsport was developed for the enthusiast who requires a more aggressive setup for racetrack events with mild street use. The Clubsport is outfitted with high quality racing top mounts, increased spring rates, and tuned valving. 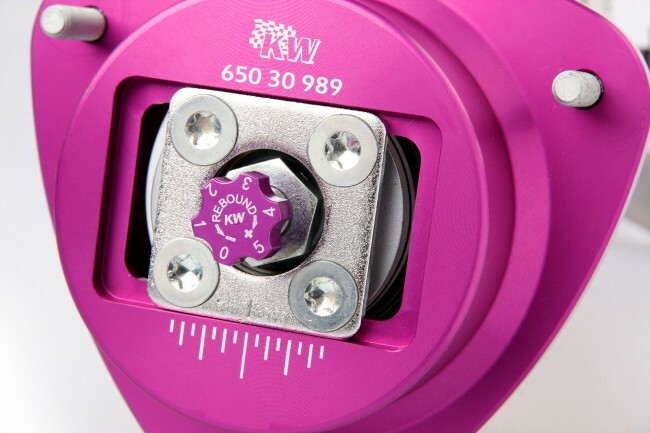 KW had designed a unique recessed racing top mount that maximizes suspension travel for the utmost in performance handling. All applications feature adjustable (and independent reacting) rebound and compression damping for a personalized performance driving setup. 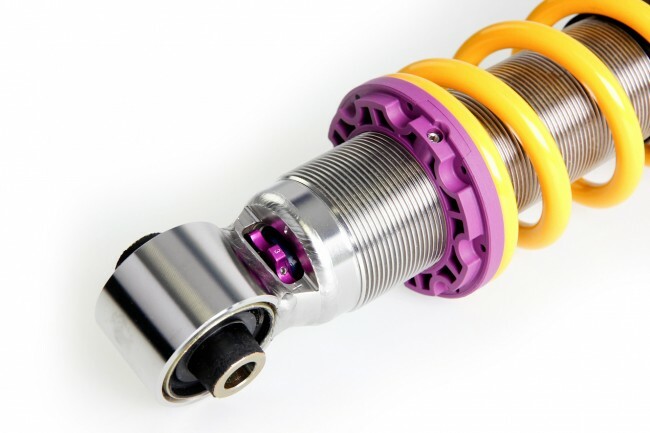 Taken into consideration with each KW coilover design are important characteristics such as quality and performance. We specifically design and engineer each vehicle application for the proper range of motion, min/max weight loads and min/max lowering. KW maintains all these requirements while retaining its performance handling characteristics. The stainless steel construction internally and externally provides long-term durability and corrosion resistance from the elements.